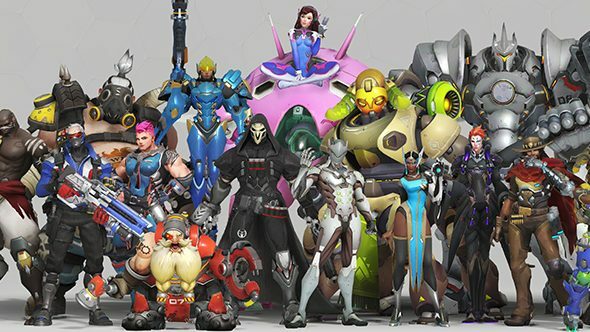 Overwatch is getting a bunch of new social features – like endorsements, looking for group, and private profiles – and they’re all available for testing now on the PTR. Jeff “From the Overwatch Team” Kaplan broke it down for us in a new developer update video. After a match ends, you’ll be able to give endorsements to other players in three categories, with a limited opportunity to give them out each time. Sportsmanship endorsements reward friendly social interactions – “nice shot” and all that, whether it’s someone on your own team or somebody on the opposing side. Be a sterling example of a good teammate in the best multiplayer games on PC. Shotcaller endorsements apply only to your own team, but let you recognize when somebody’s making effective team strategies during the match and doing so in a constructive way. Good Teammate endorsements let you recognize players who play well as part of the group. Kaplan gives the example of a Hanzo player switching to someone else when the team composition calls for it, and somehow Papa Jeff manages to say that with a straight face. Endorsements will be publicly visible, though we don’t know exactly in what way – just that you’ll be able to recognize players who’ve gotten a lot of positive feedback. Any moderator action, whether silencing or suspension, will completely remove your endorsement level. Players who maintain a high endorsement level will be periodically rewarded, though we don’t yet know what shape those rewards will take. There’s also going to be a “looking for group” system, which will allow you to set and restrict specific roles for players, or leave things wide open for everyone to pick what they want. You can also set requirements like voice chat, or set names for groups to look for specific types of teammates. You can either create group parameters or browse a group listing, but this won’t overlap with the traditional matchmaking system. There are also a number of other, smaller changes. Offense and defense heroes are now going to be collapsed into a single category called damage, breaking up the “arbitrary” labels previously put on them. Player profiles can also now be set to private, friends only, or public. There’s plenty more in the new patch, which is currently live on the PTR. Of course, the most substantial changes are the Symmetra rework and Horizon Lunar Colony rework, both of which will be live in the next patch and are also currently available for testing.